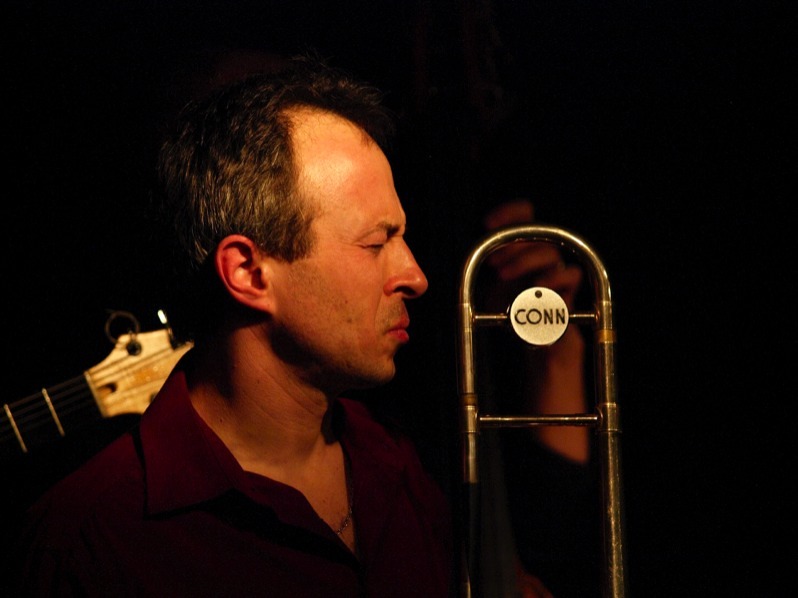 Born on september 30th, 1971 in Sevlievo, Bulgaria, Georgi started playing piano at age of 9 and discovered the trombone at 12. Alongside classical studies at the conservatory of music "L.Pipkov" (1985 - 1990) and the National Academy of Music "Pancho Vladigerov" - Sofia, Bulgaria (1990 - 1995), Georgi was introduced to jazz and shortly thereafter played with the most famous Bulgarian jazz musicians: Milcho Leviev, Antoni Donchev, Stoyan Yankulov, Teodosi Spasov, Hristo Yotzov, and also with the clarinettiste Ivo Papazov. 1993 : He formed his first band "The Dixie Jokers"
1996 : Best Soloist Award at the Avignon Jazz competition. • Gueorgui Kornazov quintet "Staro Vreme"
• "The majesty of Kenny Wheeler"